Just a quick note to those attending nets at the St Lawrence Cricket ground next Tuesday, that the entrance to the ground by the Bat and Ball is currently closed. Access for the next few weeks will be off Nackington Road. The new look ECC website goes live! 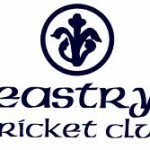 ECC has now linked to Twitter – check out @EastryCricket to fulfil your micro-blogging needs!